Finding derelict spacecraft and space debris in Earth's orbit can be a technological challenge. Detecting these objects in orbit around Earth's moon is even more difficult. Optical telescopes are unable to search for small objects hidden in the bright glare of the moon. 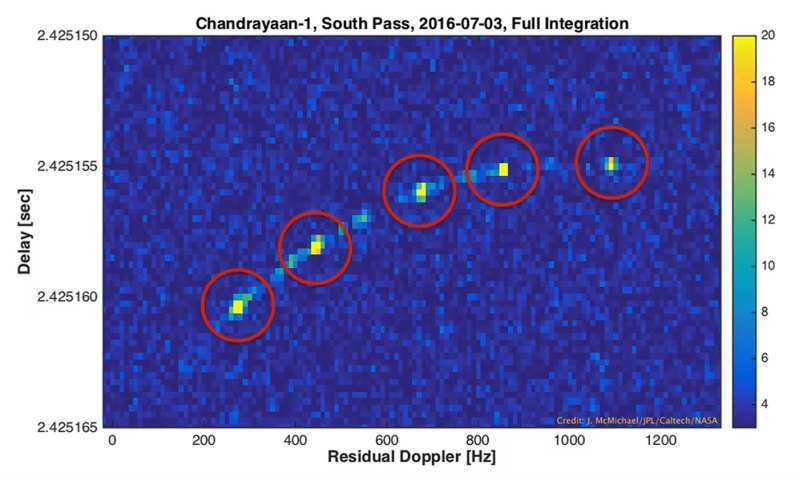 However, a new technological application of interplanetary radar pioneered by scientists at NASA's Jet Propulsion Laboratory in Pasadena, California, has successfully located spacecraft orbiting the moon—one active, and one dormant. This new technique could assist planners of future moon missions. Add to the mix that the Chandrayaan-1 spacecraft is very small, a cube about five feet (1.5 meters) on each side—about half the size of a smart car. Although the interplanetary radar has been used to observe small asteroids several million miles from Earth, researchers were not certain that an object of this smaller size as far away as the moon could be detected, even with the world's most powerful radars. 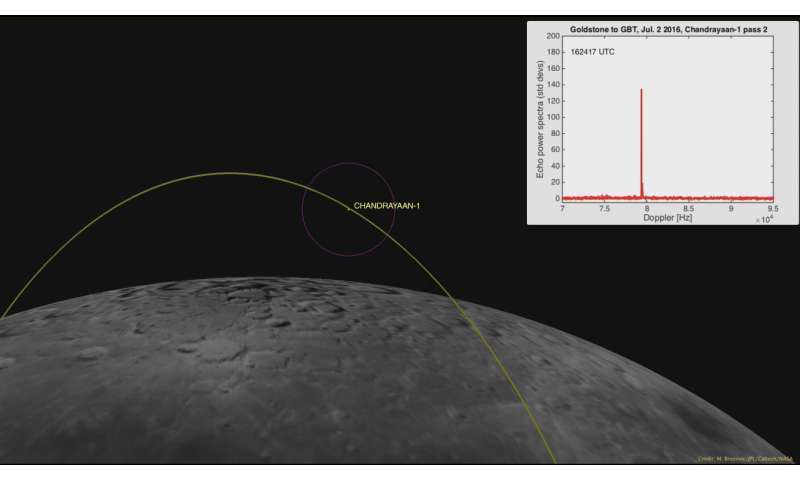 Chandrayaan-1 proved the perfect target for demonstrating the capability of this technique. The radar experts and the people planning lunar missions should get together and brainstorm some experiments to have the radars track the upcoming lunar missions. This would give the spaceflight guys a backup method of tracking lunar missions if communications are lost - if, for example, an antenna is broken during launch. Skylab lost a solar panel, so losing an antenna is a realistic possibility. Since the satellite has been found is there any possibility that it can be reactivated?